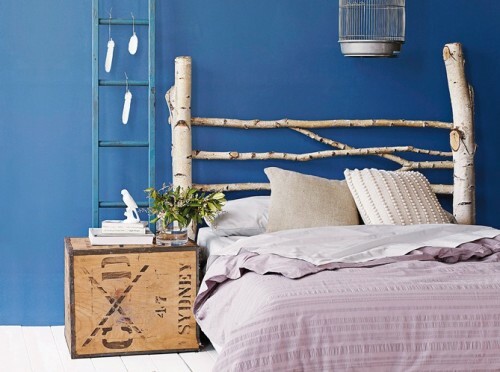 There are so many ways to make a cool headboard for your bedroom. They all help to save you some money because headboards could be very pricey. Although here is probably the most cheap to make headboard I’ve ever seen. You can make it from several tree branches of different sizes. They can be easily found so you don’t need to spend money at all. To fix these tree branches together you can use simple nails.